Don’t miss out on all of NerdWallet’s highly anticipated 2016 Black Friday ad leaks this season. Visit regularly for tips and announcements about the best holiday deals from your favorite retailers. Black Friday is Nov. 25. 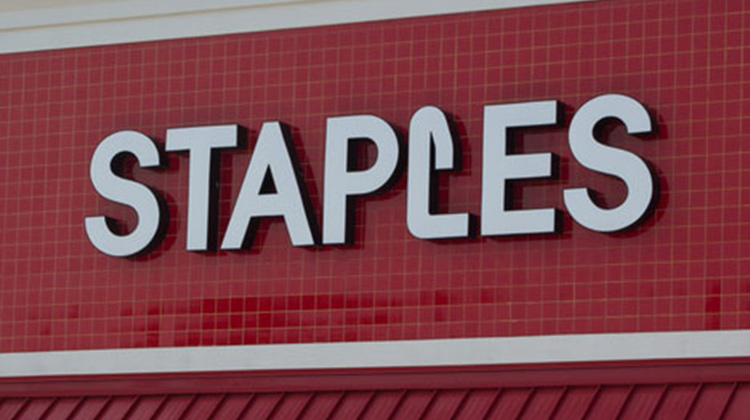 The 2016 Staples Black Friday ad has been leaked! Just as last year, online sales start on Thursday while the store is closed for Thanksgiving Day, and begin at the brick-and-mortar stores at 6 a.m. Friday. As usual, the sale includes great gift gadgets, but also some practical savings on things like paper and batteries, so you can restock the home office at the same time. There is a limit of one of each item per shopper, so you won’t be able to buy the same thing for everyone on your list, but if you buy your beloved a laptop, the store is offering free tech support on PCs through Jan. 31 of next year. And it may seem early, but have you thought about your spring vacation? Now is the time to put your holiday spending towards meeting credit card sign-up bonuses and earning points you can use on hotel, dining and airfare since November historically has the best promotions for travel and airline cards. You can buy gifts for loved ones and maximize rewards for travel plans all with the same Black Friday shopping haul. $280 off an HP Pavilion laptop with Intel Core i7 processor, 1TB hard drive, 12GB RAM (regularly $779.99, marked down to $499.99). Amazon Echo Dot voice-activated device controller for $39.99 ($10 off). Amazon Fire 7-inch tablet for $33.33 (reduced $16.66). 40% off custom holiday cards and invitations (with coupon). Deep discounts on office chairs, $70 to $120 off. Brother P-Touch PT-D210 label maker, marked down to $9.99 from $39.99. $200 off a Microsoft Surface Pro 4 i5 tablet, marked down to $799.00. Up to $200 off assorted HP laser and inkjet printers. While online sales started on Thanksgiving last year, the office retailer kept its doors closed for the holiday, but opened up bright and early at 6 a.m. Black Friday. HP LaserJet Pro P1109w wireless printer for $49.99. Samsung 24-inch LED curved monitor for $149.99 (regularly $249.99). 32GB Apple TV for $149. $30 off Intuit Quicken for Mac and PC. $549.99 for HP touch-screen desktop PC (regularly $749.99). If you like shopping at Staples, you’ll definitely want to check out the Black Friday deals at these similar stores: Dell and Apple. Check out our full list of 2016 ad leaks for up-to-date deal news from a wide range of retailers.